I’m writing this blog post on my phone because my MacBook charger has died (again). Thankfully I uploaded a few pics before that happened, not all of the ones I wanted to show you, but that’ll just have to do. Everyone knows I’m a massive fan of Elvis Presley – I have tons of his music on cd/vinyl, dvds of concerts, my bedrooms at home and uni are both covered in posters of him, and I have a ridiculous amount of other Elvis merchandise. (I am a weirdo). So of course I had to go and see the ‘Elvis at the O2‘ exhibition on the day it opened in December and buy a return ticket so I could visit 6 times. 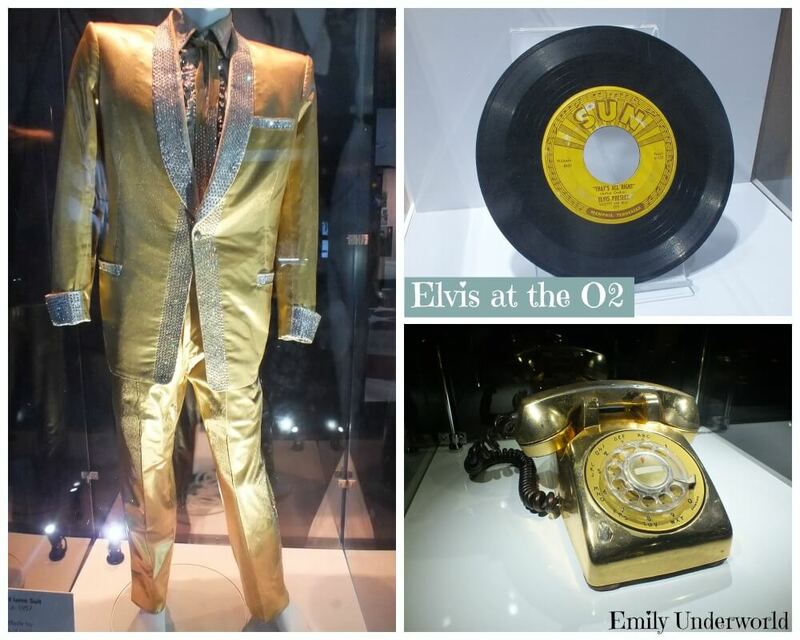 Elvis at the O2 is an exhibition of Elvis Presley’s personal items including clothes, records, army uniform and even cars, his motorbike and pool table! 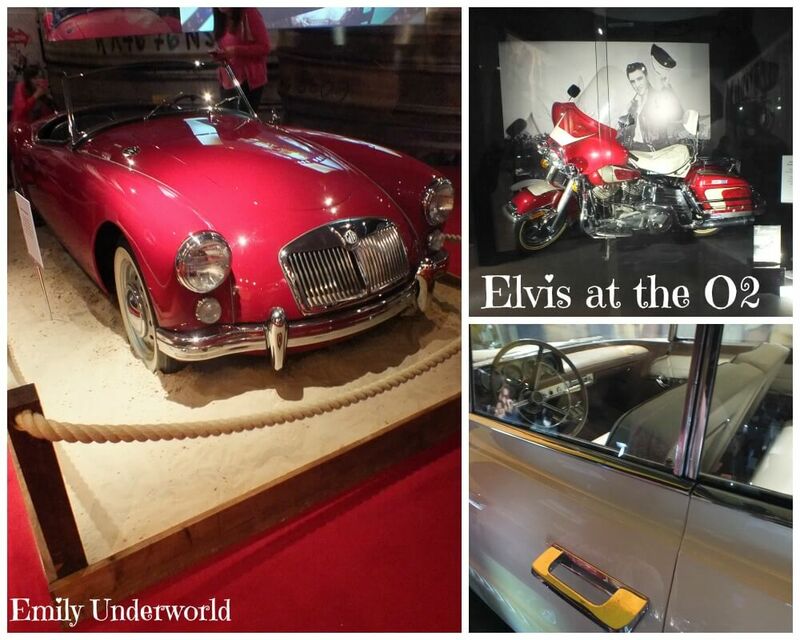 It’s great for anyone in London / the UK who doesn’t have the opportunity to visit Graceland! I would have written about Elvis at the o2 months ago, but the first time I went I just wanted to look at everything and not take pictures, and the second time I forgot my camera. Yesterday I visited again, this time with family, and I thought it was about time I wrote a blog post. I can’t praise this exhibition enough. 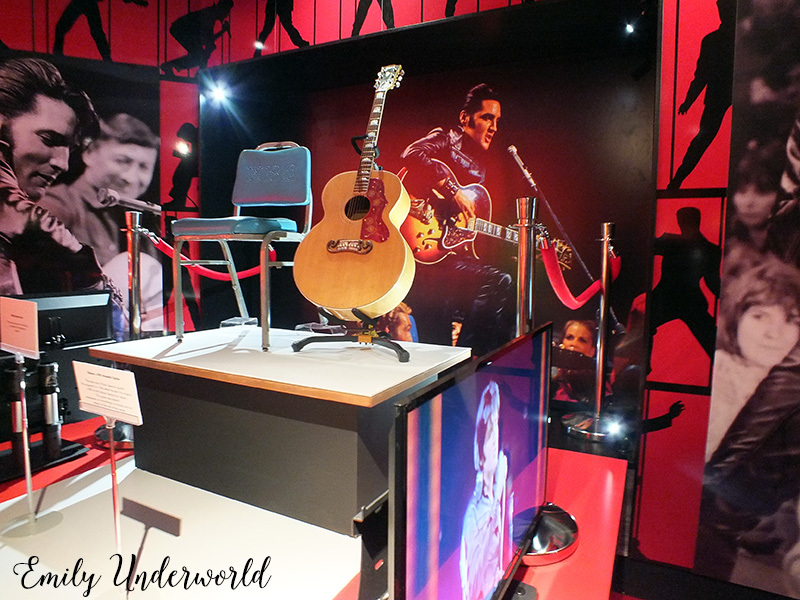 The O2 arena have done a fantastic job arranging Elvis’s stuff in different themed rooms like “Graceland”, “Hollywood” and my personal favourite, the “68 special”, pictured above, which has his guitar and outfit from the 68 comeback concert, with video screens playing it. First you go through a few rooms which feature his early family life, the beginning of his Sun Records music, the “Elvis craze” that followed (with merchandise / awards / a video projection of screaming fans and interviews), and then his experience in the army. Each room has Elvis literally everywhere, all over the walls and his songs playing. Then you arrive at the main center room, which is pretty damn cool. There you see his fancy car, cabinets full of stage outfits (jewelled jumpsuits! 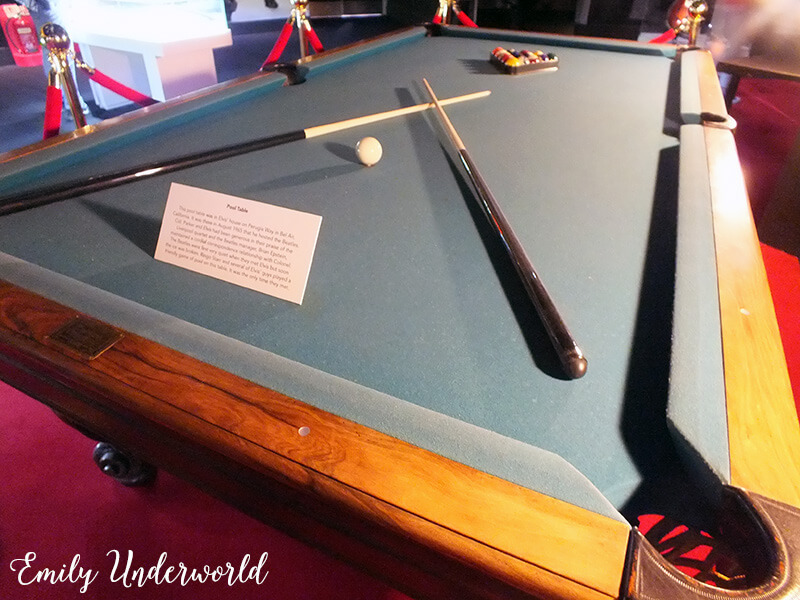 ), his pool table (that he played with the Beatles on! 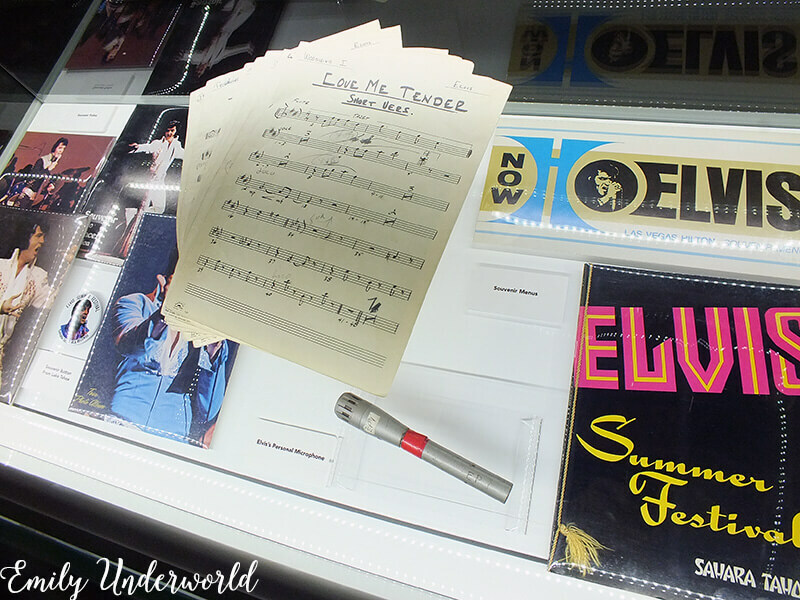 ), and lots of glass cabinets filled with letters, sheet music and other cool things. Oh, and the ceiling is covered in massive plaques of his vinyl record covers! 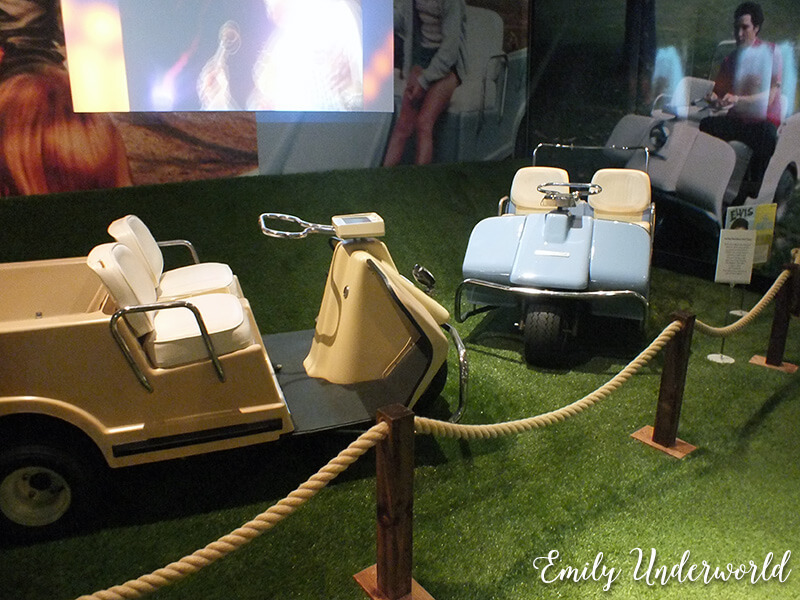 From this center room, you can enter each themed room, like the Hollywood one which showcases a classic red MG, and things from his movies, or the pristine white carpeted Graceland, which has items from his home alongside video montages of what it looks like inside, with the song “welcome to my world” suitably playing. When you’ve had a good browse, head over to the theatre room and they play a movie montage of his concerts. 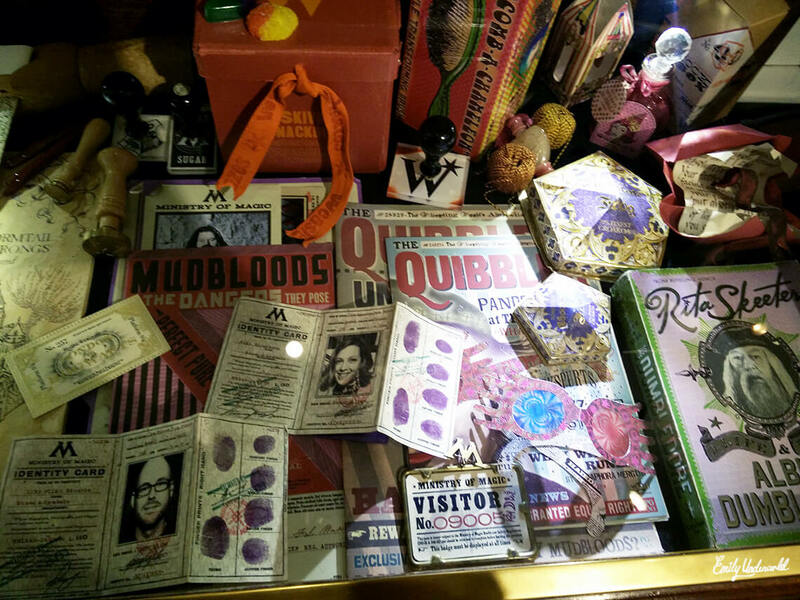 This is a great way to end the exhibition, followed by the gift shop of course, which has some pretty cool things! I’ve bought far too many Elvis things from here, including a t-shirt, a patch for my jacket, postcards, a tote bag… Yeah. One of the best parts is that they update the exhibition with a few different things brought over from Graceland, like the famous gold suit which was added in April. Apparently a pink cadillac is coming in the summer! 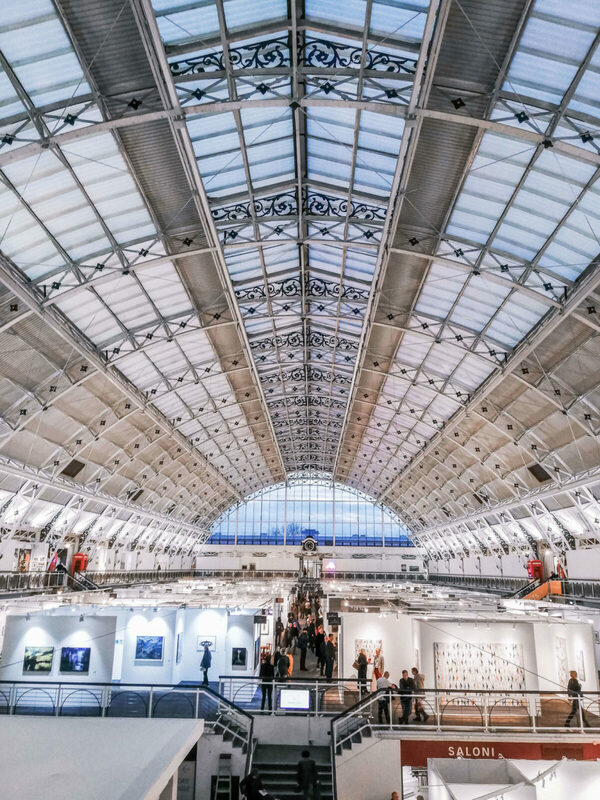 The tickets are only around £12, and they do deals for families, students, pensioners and those people who wish to go several times (like myself). I can’t recommend this enough to people who like Elvis, music fans, those who want to visit Graceland but can’t, or people who want something interesting to do while in London. 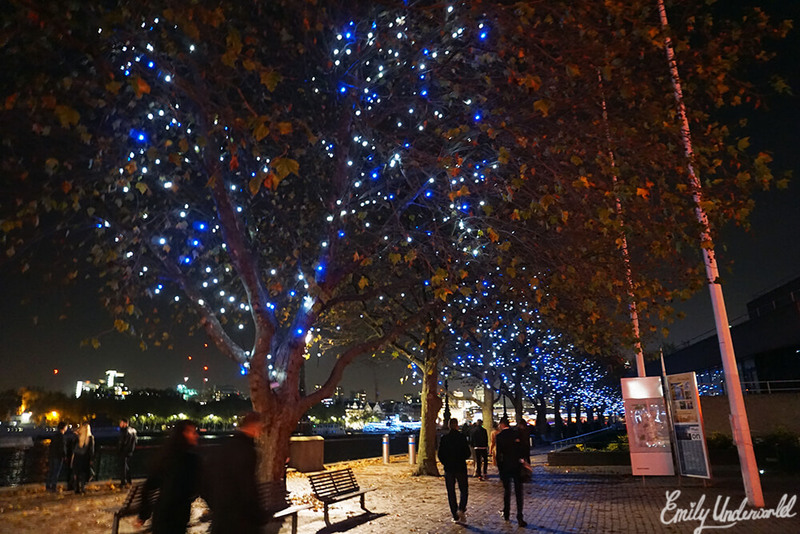 The O2 arena is easily accessible and they have lots of restaurants inside, I had a cheeky Nando’s after!